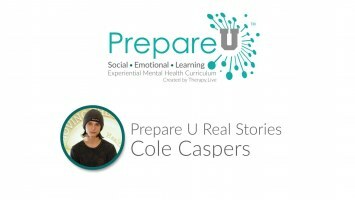 Prepare U is an easy-to-facilitate, evidence-supported, multi-faceted, experiential mental health curriculum designed for grades 8-12. 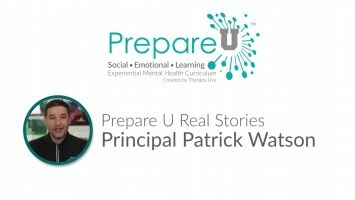 Implemented by leading high schools across North America, Prepare U improves student culture, fosters emotional resilience, decreases trauma, and improves student well-being. 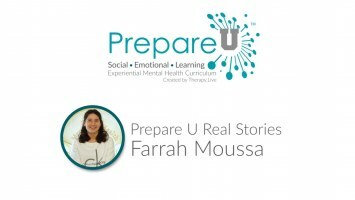 Prepare U is a multi-faceted experiential mental health curriculum, developed by the Therapy Live team and endorsed by leading psychologists, including the president of American Psychological Association’s Society for Media Psychology and Technology. Designed to be a plug-and-play system that any teacher can easily facilitate, either as a standalone course or as an integrated part of an overall health sequence, Prepare U builds resilience and fosters growth for the next generation. By providing students with the tools necessary to get to the root of potential problems, and working to prevent unhealthy coping patterns from emerging and developing in the first place, students are identifying mental and emotional risks and concerns, and more effectively coping with these concerns on their own in healthy ways. Prepare U delivers a unique 15-class experience that guides students and facilitators through an intentionally designed program arc that builds emotional resilience. 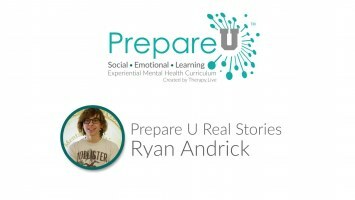 Students and facilitators will have the opportunity to master the tools to process anger, further develop problem-solving skills, decrease anxiety, recognize suicidal ideation, engage in self-care, promote healthy families, cultivate empathy, manage social media use, and foster healthier relationships. Students and facilitators that complete Prepare U demonstrate a mastery of the content and evidence-based tools. Students show a significant decrease in symptoms of trauma, while reporting significantly better physical health and overall health. 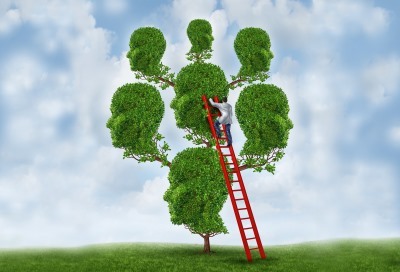 The professionals behind Therapy Live are committed to outcomes of mental health wellness. 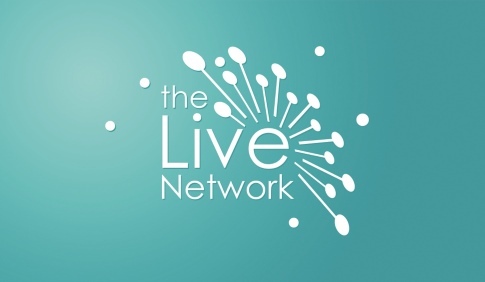 Bringing you the most innovative and up-to-date tools including comprehensive local and national crisis resources, premium educational content available to the public, a wide-spread community of therapists, secure and encrypted two-way video conferencing for therapists and clients, and social emotional learning curriculum for students. The Prepare U Curriculum by Therapy Live is a game-changing, 15-class, multi-faceted experiential course designed to move the needle in mental health for high school students. 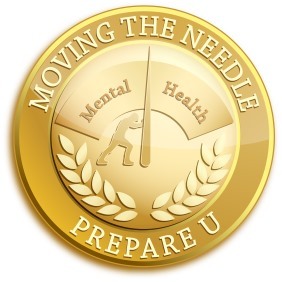 Our dedication to moving the needle in mental health stems from the underlying premise that through improving wellness we can together create a healthier world. 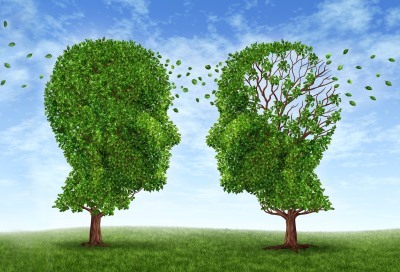 Our passion lies in connecting minds, people, and their potential. With the belief that everyone has a unique life journey specific to their experiences and possibilities we are grateful to spread emotional wellness through families, communities, and professionals. 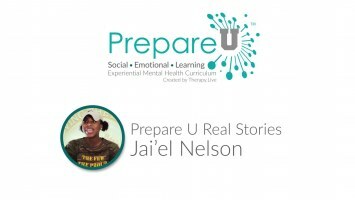 Prepare U was designed, created, and tested by the Therapy Live team. 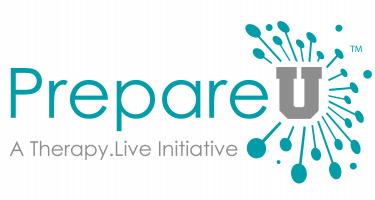 We are a collaboration between individuals passionately invested in enhancing and humanizing the delivery of mental health education and tools. 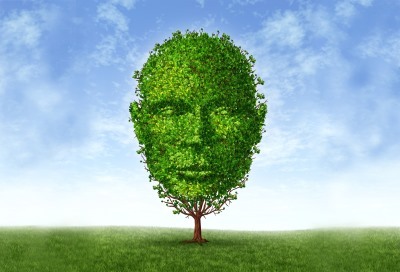 Our team is comprised of mental health professionals with extensive training and expertise in clinical psychology, experiential learning, early childhood education, and developmental psychology. We also have a dedicated staff of in-house programmers and software engineers to support the digital components of the program. The diversity of our expertise is invigorated by our unified passion to improve the quality of life for generations to come, which drives everything we do.